Sticking with the recent quick meals theme this is a favourite indulgence I really enjoy. 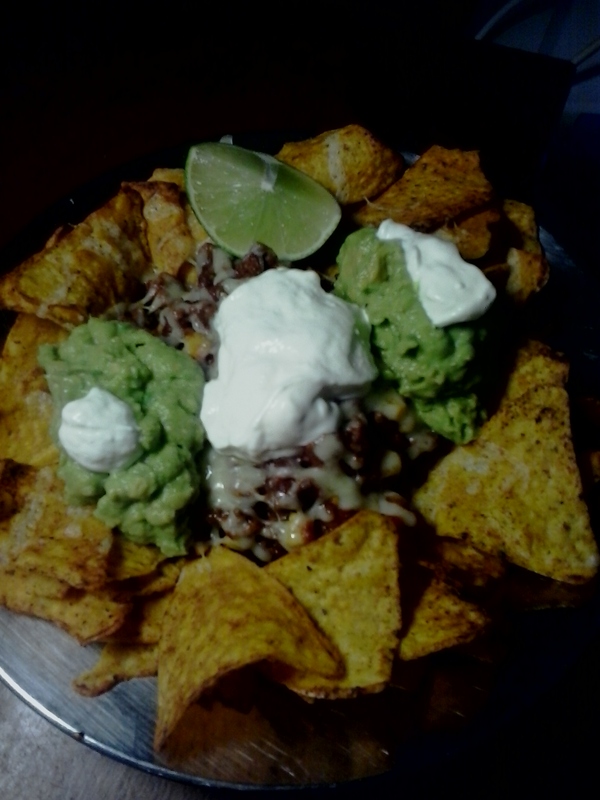 Nachos, and having some nice ripe avos’ I made Guacamole as well. 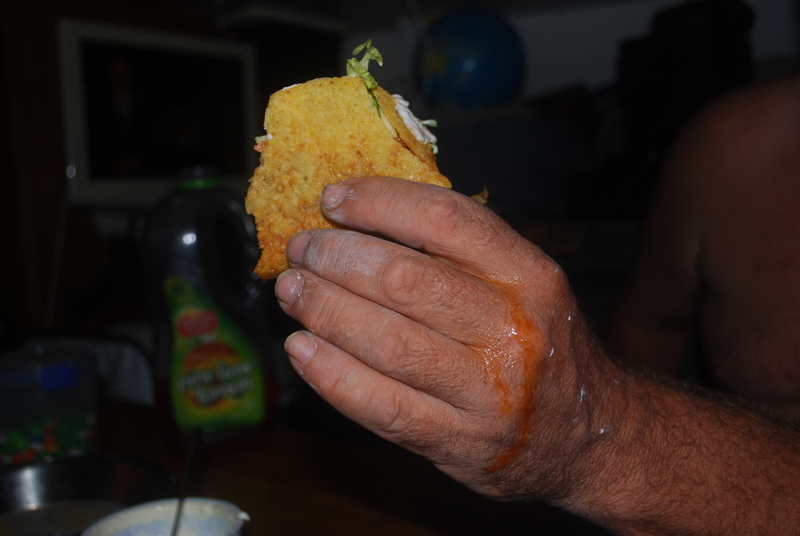 It was really good, your brain says avocado, your tongue goes ah, lime then your mouths says emmmmmm chilli. 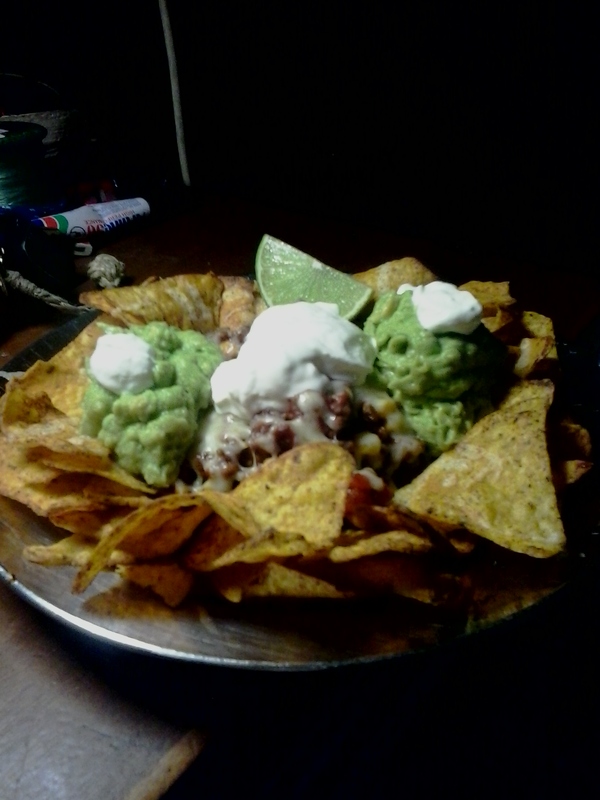 These were beef nachos with of course the guac, sour cream, cheese and fresh lime. Another 15 minute masterpiece. Well that’s a bit of a stretch but it was a way to get rid of a left over enchilada from dinner the night before. 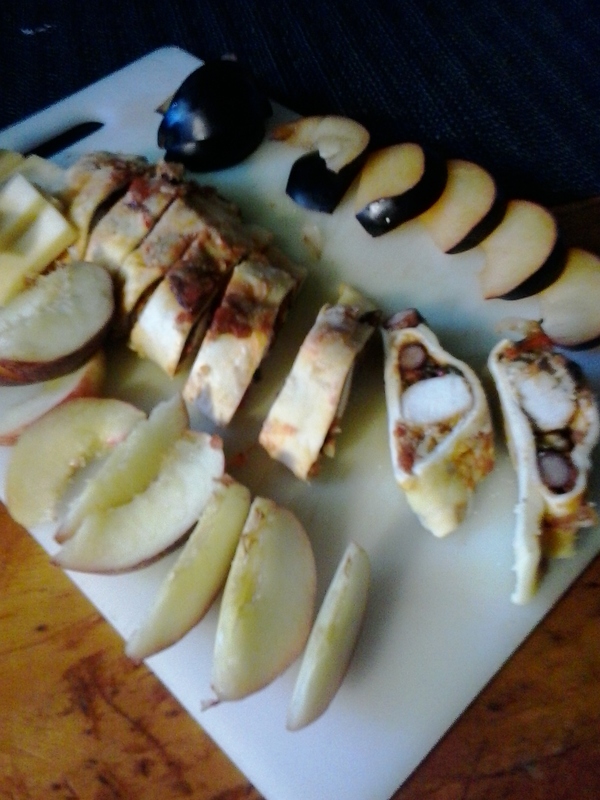 I just sliced the enchilada into rounds and added some fresh plum and peach slices and a bit of tasty cheese. If nothing else it used up left overs and made for an interesting lunch. 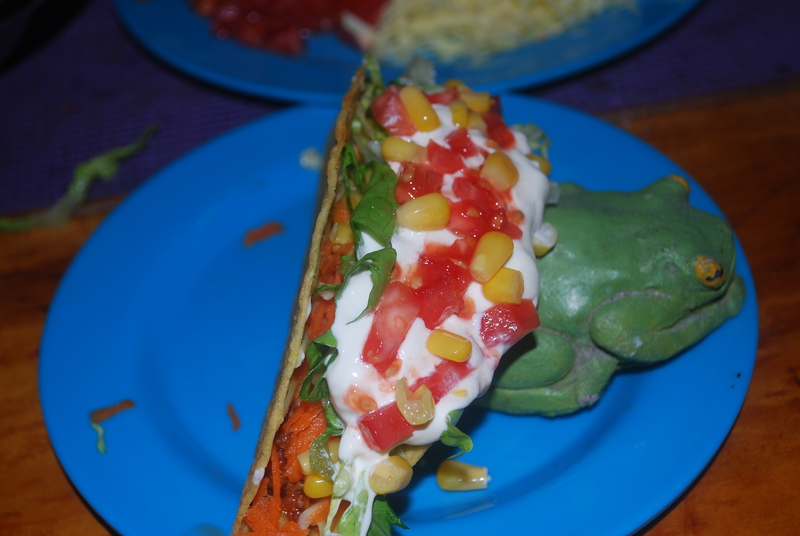 Something we don’t eat a lot of, Mexican. 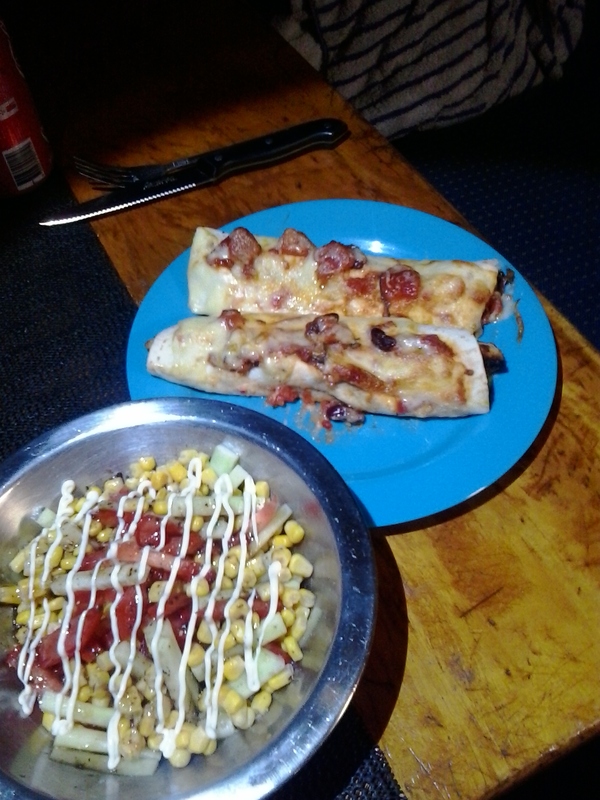 I don’t know why, because we always enjoy it when I do make it. 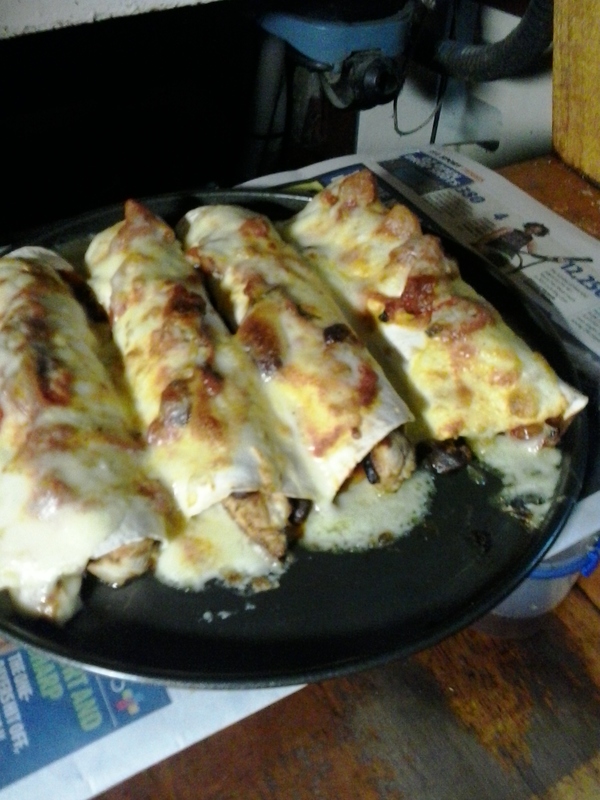 Paula had been asking for those chicken wrappy Mexican things…fa…burr…Enchiladas? 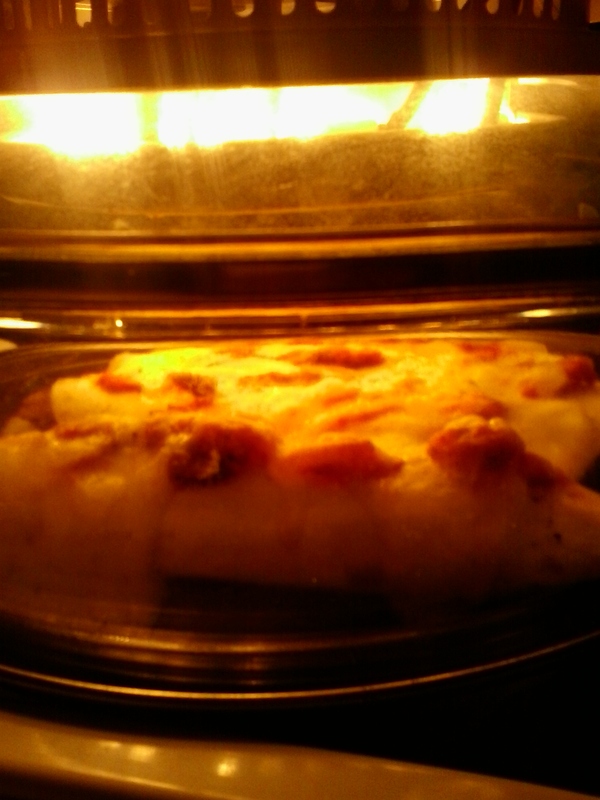 Yes enchiladas! 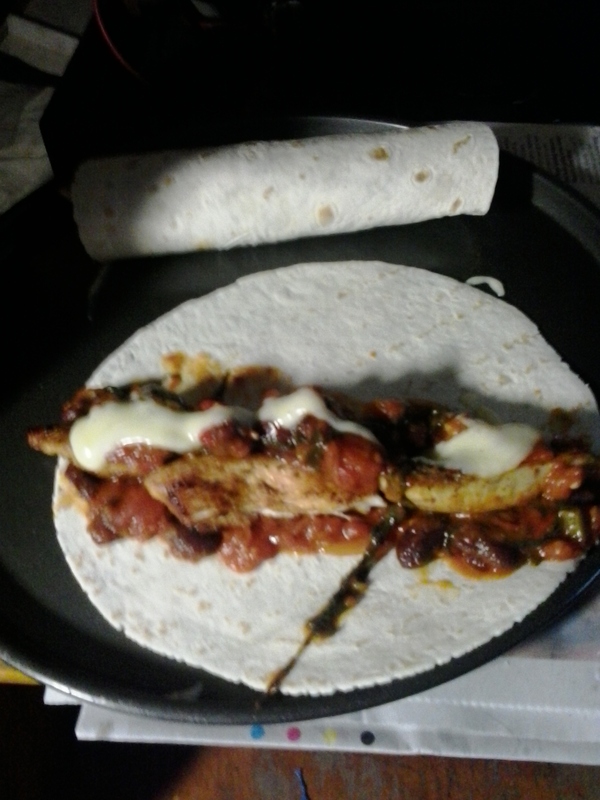 A chicken breast from the freezer, canned red kidney beans, chilli’s, tomato, onion, garlic, a little leafy greens (any will do, spinach, Asian greens) and I used a little fajita seasoning as I only had Asian red chilli’s not habanero or similar so needed that Mexican heat and taste. 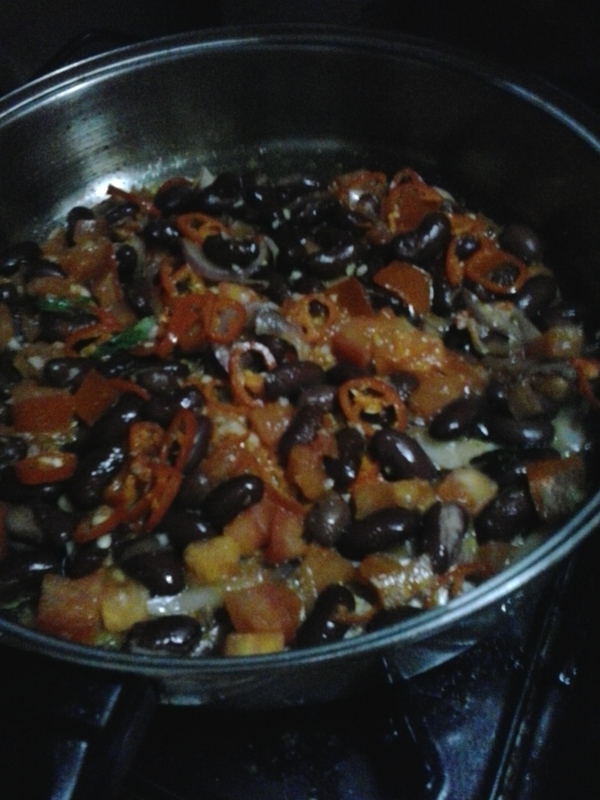 Lastly I added a can of diced tomato and salt and pepper. 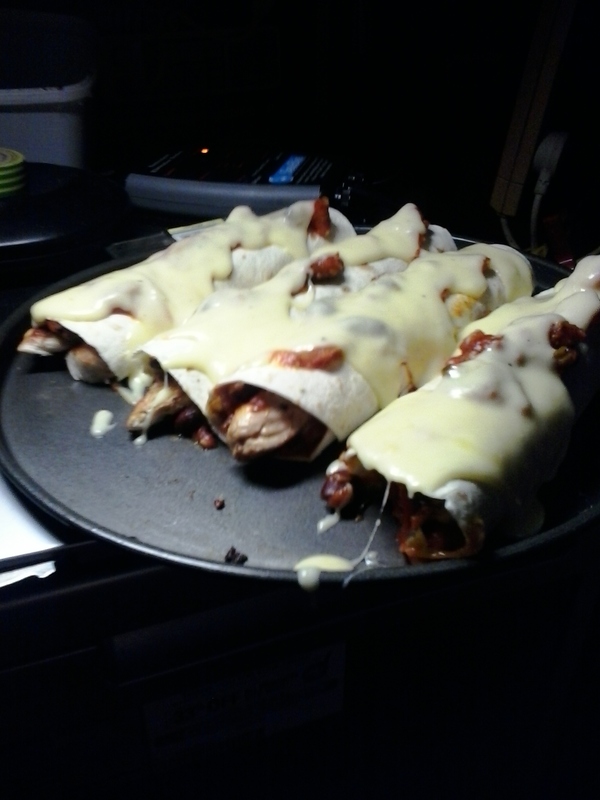 Wrap in tortillas and top with cheesy roux based sauce and bake for a bit until golden and oozy. I made a simple cucumber, tomato and corn salad to go with. 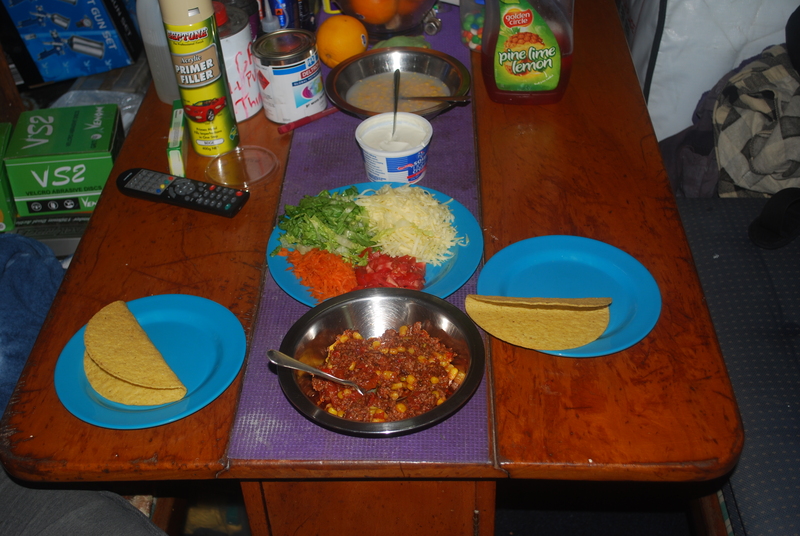 Taco taco man…Like homemade tacos, good way to use up small amounts of left over ingredients and spice up your day.